I’m about to change my club grips, and wondered if there were any recommendations? I love the Lamkin UTx midsize. I have used them since they came out 3-4 years ago. They seem to last a long time (1+ year playing 75 rounds/year) and have a good combo of tacky, cord (for sweat and moisture), and feel (not squishy or too firm). Lamkin sometimes does some promos on their site. Golfworks.com and HurricaneGolf.com also sometimes have some deals on them. 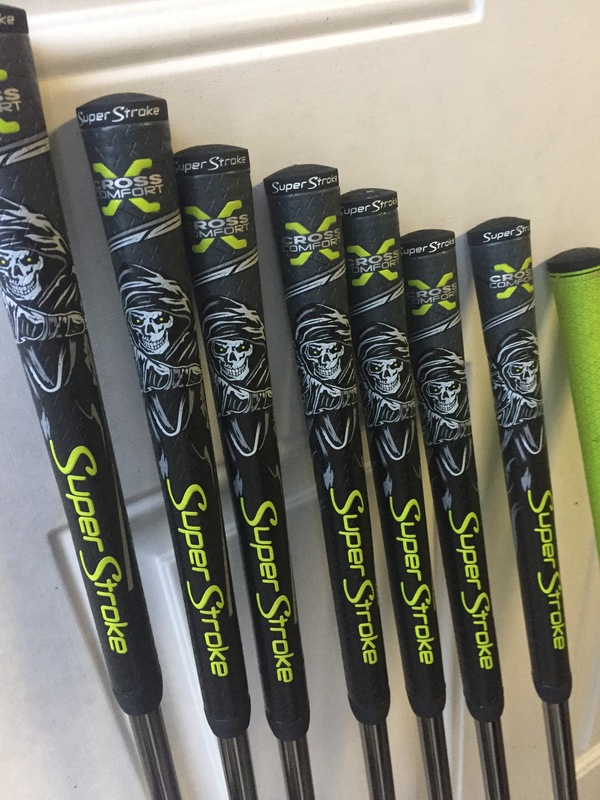 Best grips by far, IMO. I went to the MCC+4 and will never go back. I have always been a guy who strangles his clubs so it has been a welcome change. Golf Pride Multi-comps. Case closed. You can get previous years on on ebay for cheap. I have been playing standard Lamkin UTXs for the last few years. Durable and great in wet and/or humid conditions. Also have a Golf Pride New Decades on 2 clubs. Like them as much as the Lamkin, but the Lamkins are less expense. I’m a weirdo that loves Iomic X-evolution 2.3. Pretty hard but super tacky when clean and the alignment pattern just clicks with my brain. Only downside is they get slick in extremely wet weather. I use the Midsize version of these and it has made a big difference, for sure. Easier to grip without strangling, and also keeps my wrists quieter and gets the big muscles swinging the club. Been using MCC +4 for a few years now and like them. Just put the Align version on. I really like the rib and the club feels much more stable in my hands at impact. I recommend trying a couple clubs first before switching out a whole set. I use Golf Pride Tour Velvet Cords. Once you go cord, it’s tough to use anything else. PS- for putters, I just bought the robin egg blue, leather Sugarloaf Social Club grip. It might be too good. Their shop is down atm, but wait a couple weeks and check back.